Got stuff? Of course you - why else would you be checking out a website that deals primarily in stuff of all shapes and sizes? If you need to lug some of your most precious stuff around with you on a daily basis you'll need a bag that is hard-wearing, big enough for your needs, and looks great. Bingo! We have it in the STM Drifter Backpack. 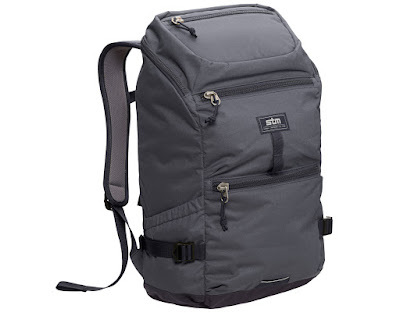 Big fans of the Australian design company STM, we've previously tested courier bags, cases and tablet folios from them, but this was our first full-sized backpack. 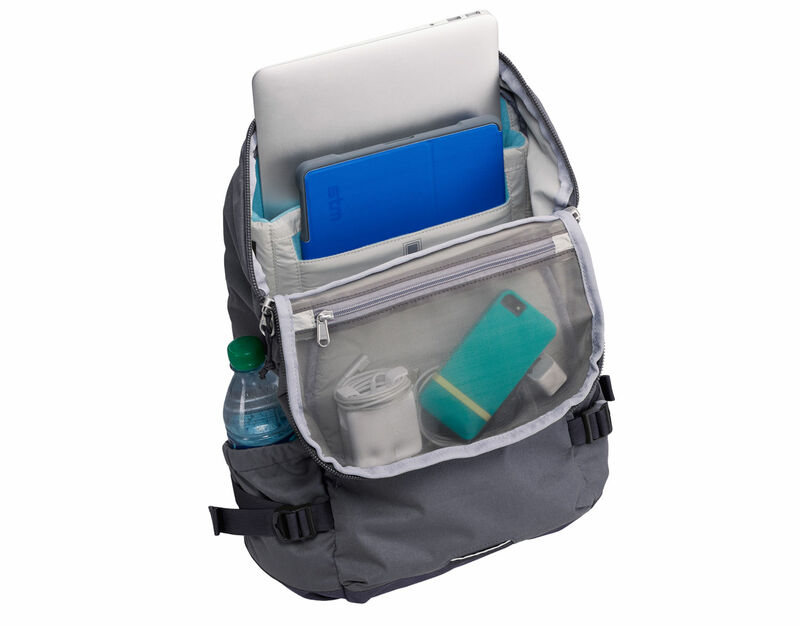 The STM Drifter Backpack can accommodate a 15" laptop carried vertically, as well as a crap-load of other things. Despite recent fond dalliances with bags from Booq, the Drifter has the largest capacity of any backpack we've ever tested, yet still has the appearance of an everyday bag. The main outer material is hard-as-nails water-resistant poly fabric, with several places also benefiting from being reinforced. All the pockets are sealed by those lovely chunky YKK zips that STM favour, and with it you're Britain-proof thanks to the fold-out rain cover. The main compartment features a lined and padded inner pocket for your laptop, as well a huge main space for the majority of your kit. To put the space in real terms, we managed to get a UK Size 11 shoe box in there and were still able to zip it closed - impressive. There are also other pockets within the main hold, great for wallets, keys, flash drives and your phone, as well as a see-through mesh panel to keep safe all your tiny little essentials that might get lost. On the outside there are three other zipped pockets, the top most of which is also delicately lined, making it perfect for phones and smaller tablets. On the sides you'll find handy pockets for water bottles or bike locks (one of which can be zipped shut) as well as several loops and folds perfect for attaching karabiners for other stuff... maybe even a tent or sleeping bag should you be hitting the festivals this summer. 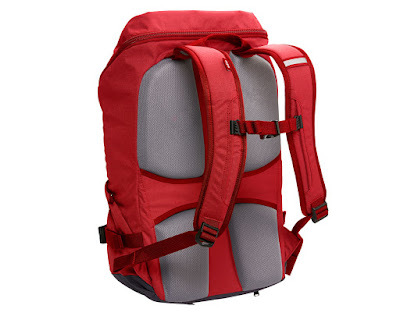 The back panel is extremely well padded, as are the inner side of the shoulder straps, making it very comfortable to actually wear, while it also featuring a very handy loop to slot down over the handle of luggage and suitcases. The STM Drifter Backpack is a great bag for pretty much any situation that we can imagine, be it the morning commute, or trekking around Europe. We tested the graphite version, but red and olive green are also available in the UK. Check it out, and good travels!